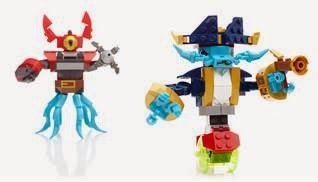 Build your favorite pirate with eight legs and no pegs, then swap bodies to create ultimate combinations with Mega Bloks Skylanders SWAP Force™ Wash Buckler. Control the forces of evil by building a magnetic robot hero, then swapping bodies to create ultimate combinations with Mega Bloks Skylanders SWAP Force™ Magna Charge. These super-sized buildable heroes with special micro axises let you pull them apart and swap with other Mega Bloks Skylanders SWAP Force™ heroes. Create the perfect combinations to defend Cloudbreak Islands and stop Kaos’ evil plans! 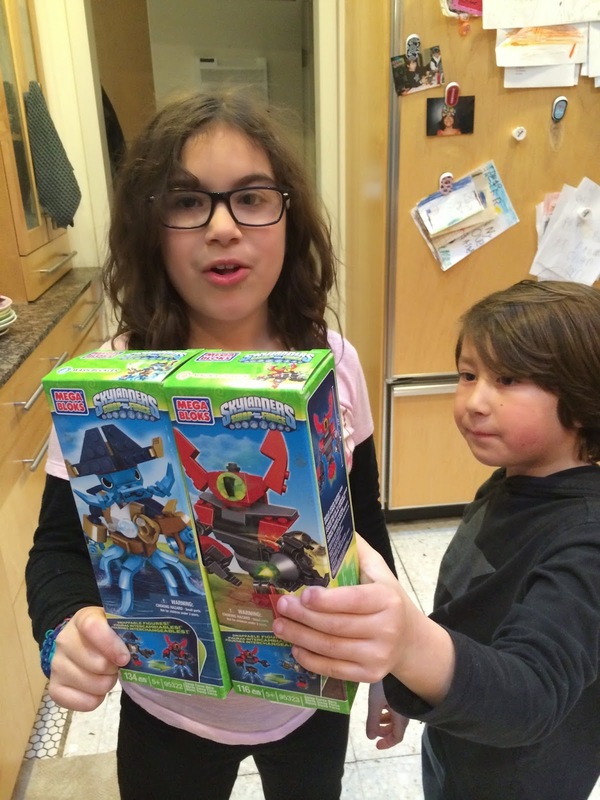 Do you know someone who loooooves Skylanders? Enter to win this dynamic duo by commenting below with your favorite thing about Skylanders or Mega Bloks! US only. Enter by April 6th. In accordance to the FTC Guidelines and the WOMMA Code of Ethics, I am disclosing that I received samples to facilitate this review. No other compensation was provided. All opinions are, as usual, entirely my own. He really likes Wash Buckler! We love Mega Blocks because they are so well made! he loves to build things that is his favorite thing about mega bloks hes always making something out of them. My children's favorite thing is the mystical world the Skylanders live in, they love the colors, creatures and excitement of the game. My son loves to build things so he loves Mega Bloks...and he loves the characters in Skylanders so perfect combo!